Photo & text by Rehan Asad|Dang, a small village of Tahsil Pilibhit is located twenty kilometers northwest of the main city of Pilibhit District. The village is inhabited by three thousand five hundred human souls distributed in four hundred seventy households. 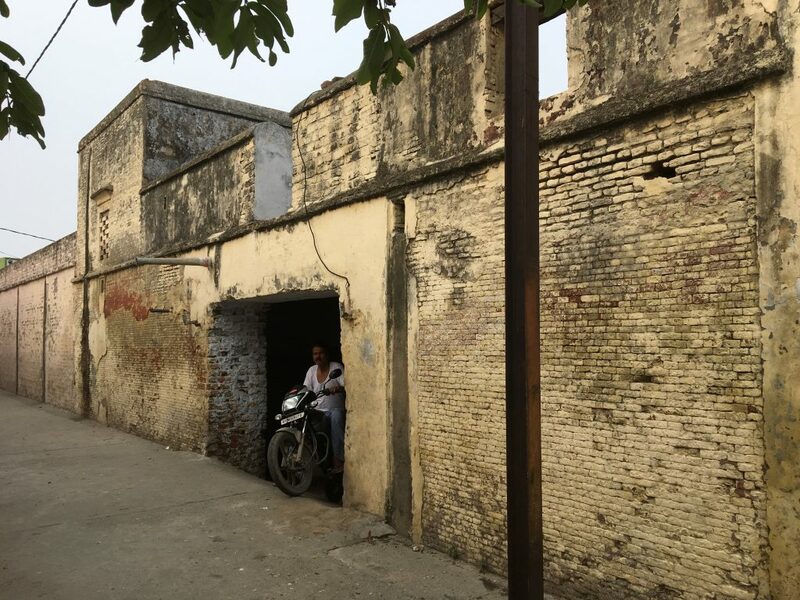 During Colonial days, the village held a significance due to the residence of one of the richest zamindar of the Pargana Jahanabad, District Pilibhit. The District Gazette of 1934 AD mentioned the name of this village in the same context. “Sheikh Nazeer Ahmad son of Sheikh Mohammad Buksh of village Dang, an Arain hold seven villages and fifteen shares in District Pilibhit and pay revenue of ten thousand four hundred thirty-eight INR (Drake, 1934AD)”. They also held three whole villages in District Bareilly. On reviewing District Gazetteer, I found that it was the highest revenue paid to the Government in Pargana Jahanabad and third highest in the District. During the compilation of the book on historical perspectives of Arain diaspora, I found several pieces of evidence related to the philanthropies of Sheikh Nazeer Ahmad and his father Shiekh Mohammad Buksh. Last week I traveled to this village for exploring the pieces of evidence related to the family of Shiekh Mohammad Buksh. 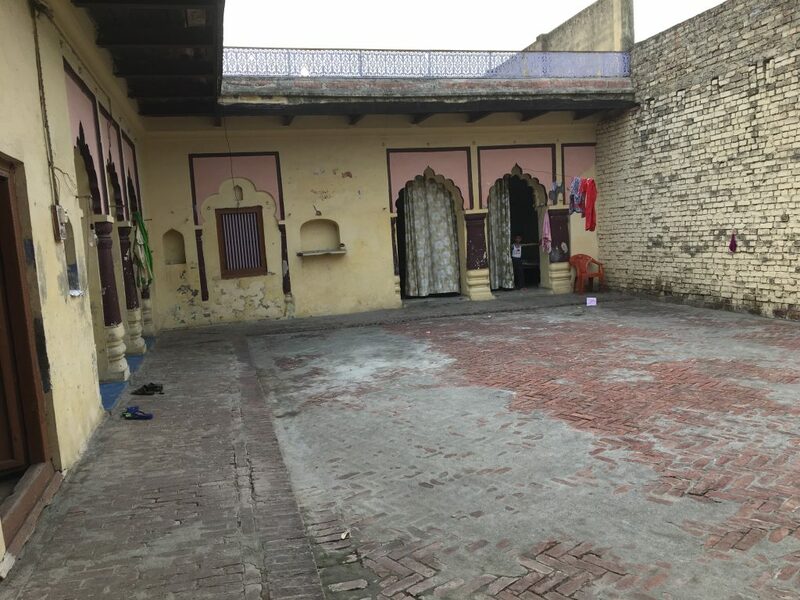 The village seems to be similar to all other villages with exception of well built old haveli of approximately one thousand square yards, a mosque and an extension of Haveli. One of the middle-aged man from a village introduced me to the old aged resident to provide rich narratives of the village during Colonial days. For the locals, Sheikh Mohammad Buksh and Shiekh Nazeer Ahmad were known as “Bade Miyan” and “Chote Miyan”. 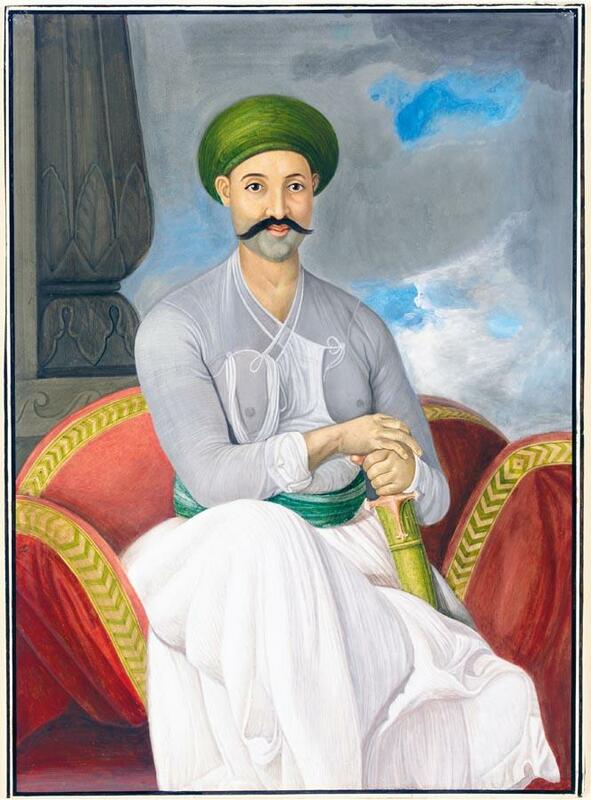 Usually, Colonial zamindars were remembered for their atrocities and exploitation of the cultivators. Surprisingly, here in Village Dang, Bade Miyan and Chote Miyan were venerated as the pious leader and caretaker of their forefathers. The old man was filled with nostalgia on recalling the days of Chote Miyan. 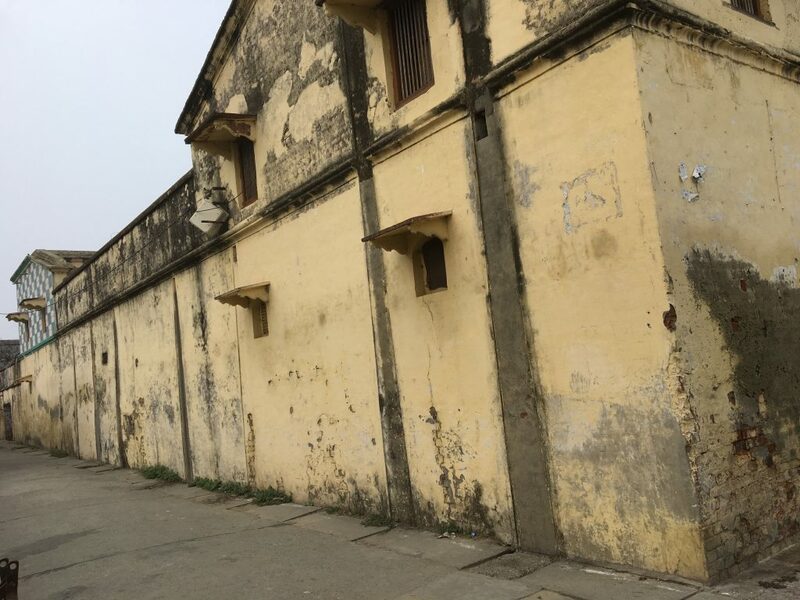 He narrates that village was frequently visited by government officials such as “thanedar”, “tahsildars”, “deputy collector” and in few occasion by the district magistrate in Colonial days. 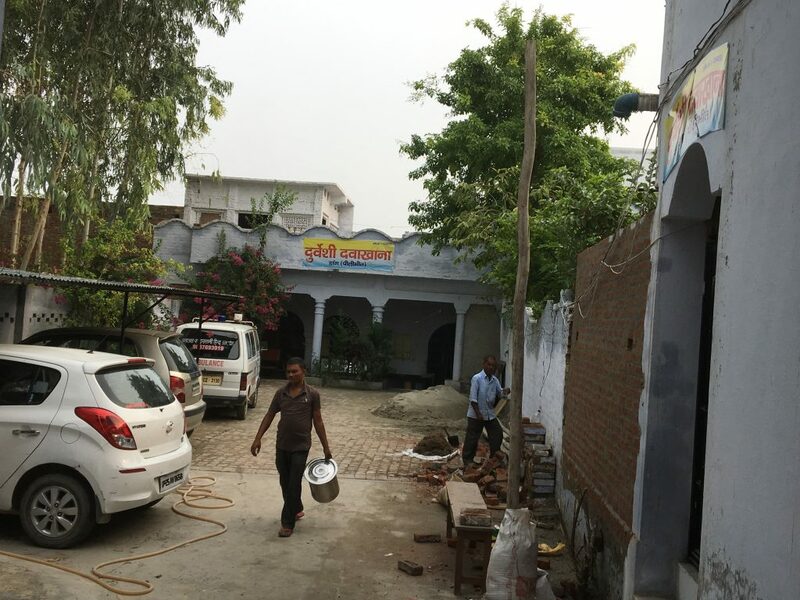 During the official visit to Pargana Jahanabad, the Mehaman Khana of Chote Miyan offered hospitality and lodging to these officials. According to locals, the compound of Chote Miyan was spread in an area of around three acres (approximately thirteen thousand square yards). The entire area was enclosed by a wall and main entrance has a grand gateway guarded by security guards. On the left flank, there was the nicely built area for the family known as zenan khana. 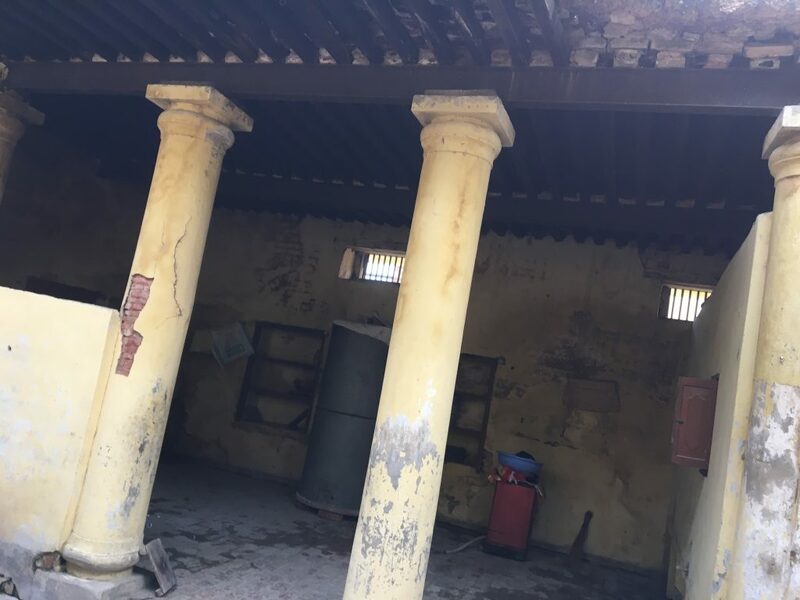 I got a chance to take photos of this building that is now owned by three families.It has seven to eight rooms, verandah bounded by pillars and traditional arches, and a spacious brick-lined courtyard. The roof was supported by timber and iron grid. The boundary of the female section of the haveli. In between, I saw small bricks in the boundary. This might be the remains of the old structure that were expanded by Shiekh Mohammad Buksh in the early 20th century. One of the entrances to the inner courtyard of female section. There is a brick courtyard bounded by the high wall before this gate. A spacious kitchen of around 800 square ft in area. It was famous for hospitality and charity during heydays. Now in the ruined state. The current occupants are using it for grain storage. A verse of Barq Mirza Raza, a prominent poet of Oudh and teacher of the last Nawab of Lucknow, Wajid Ali Shah seems to be applicable in this context. 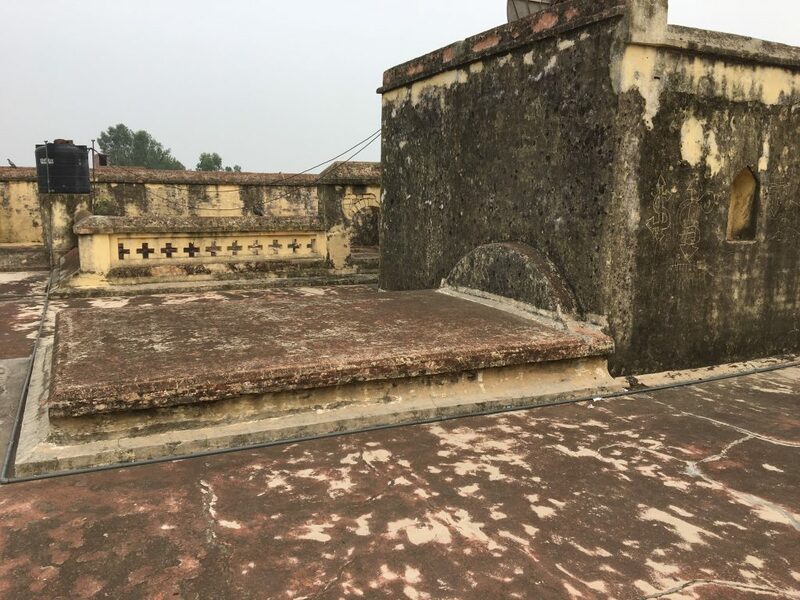 A plinth at the roof of zenana khana built for the praying of ladies. The purdahnashin ladies can offer prayers in the open air. Two small apartments with similar arrangement were built on the first floor on right and left the side. This provides a relief for females in summers. The inner section of zenana khana (Women section) that is now divided into three portions. Across the breadth, the verandah was bounded by six arches. The length of the verandah is bounded by four arches. 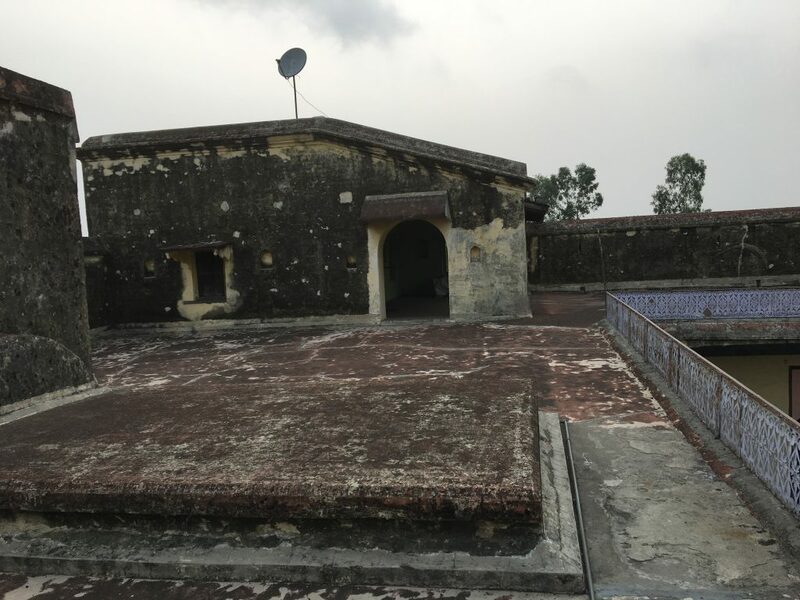 The right flank was occupied by mehman khana built in an area of around two thousand square yards with an almost same arrangement like zenan khana (female quarters) except for an addition of metal shade verandah in the front of the main verandah. Mehmankhana: This section was later on modified by the occupants. It was divided into three portions with certain modification. I got the chance to take a look from outside. Few small apartments were present in between these two buildings that were used for the lodging of relatives so that purdahnashin females can access it. In addition, there were units for servants, karinda (accountants), and other workers. An open space in the compound was used for the horses, elephants and motor car that was introduced in days of Chote Miyan. All the small apartments are now demolished and open space is known as “gher” in the local language is now occupied with small village houses. Outside the compound, the mosque is located in proximity to Mehmankhana. This was built by the father of Sheikh Mohammad Buksh alias Bade Miyan in the late 19th century. Photo of a mosque from behind. When it was constructed by Sheikh Nazeer Ahmad father almost a century before it was on the high platform. In last hundred years, the construction of roads raised the level of the ground. 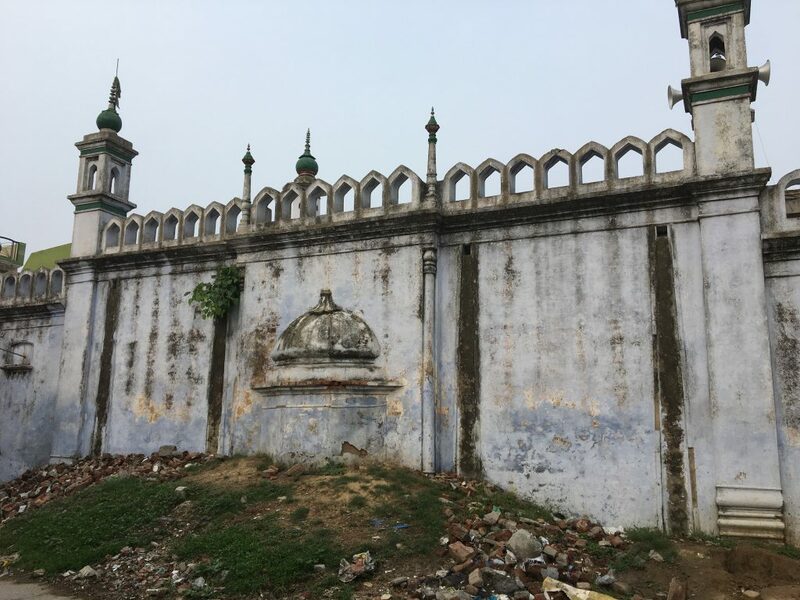 In front of the mosque, there was a guest house known as “Sarai” built by Bade Miyan for the stay of the passers-by travelers. A madrassa was also started by him to gave basic teachings of Urdu, Arabic, and Hindi for the inhabitants of nearby villages. On crossing the road, the opposite side has a huge brick-lined pool for the cultivation of fishes that remain intact until the end of zamindari days. A big feast was arranged on special occasions such as Muharram and Rabiul Awwal from the time of the ancestors up to days of Sheikh Nazeer Ahmad. Irrespective of caste, creed, and religion, the local from Dang and nearby villages were invited on these occasions to receive the hospitality of the Chote Miyan. An adherent follower of Sufi Islam, Chote Miyan bear the complete expense of the “Urs/death anniversary” of a saint buried in the premises of the police station, Jahanabad. According to the locals, this was a tradition from the time of his ancestors. The local thandedar /Station Officer whether a Hindu or Muslim make all the preparation of this feast. I found a reflection of syncretism in this traditional celebration. These type of celebration were part of the culture of United Province and Oudh in those days. Sheikh Nazeer Ahmad alias Chote Miyan was first in Pargana who purchased a Ford-Ferguson tractor and modern agrarian equipment during British days. As a far-sighted man, he held huge agrarian lands in the category of “Sir” or “Khudkasht” land. 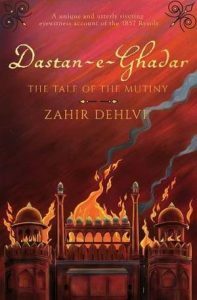 The descendants received more than two hundred acres of the agrarian land even after the abolition of the zamindari. 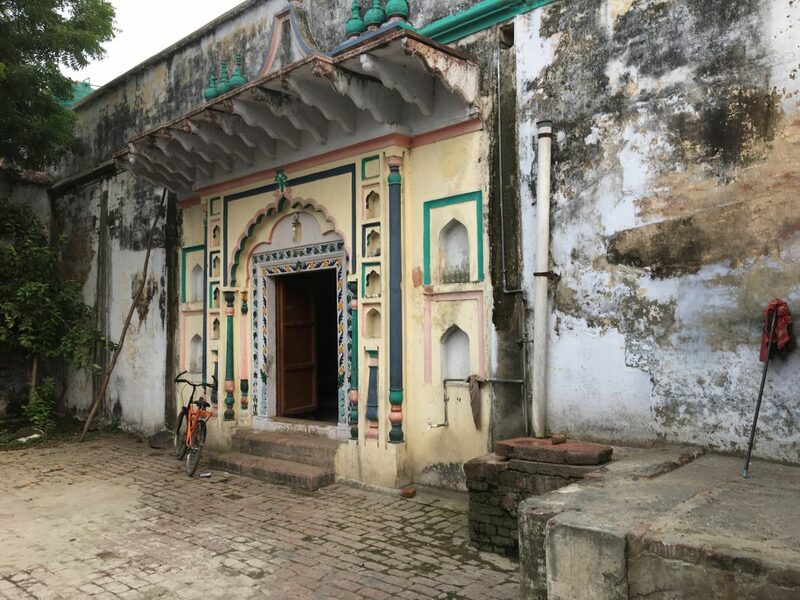 By 1970, the eldest son of Sheikh Nazeer Ahmad sold all the possessions and say Goodbye to the village that was a seat of his ancestors for more than century. He perceived the political changes as the loss of power and respect that was enjoyed by the family for more than a century. The educated descendants of the family relocated to the United States by 1980. I visited the graves of “Chote Miyan” and “Bade Miyan” in the graveyard nearby the mosque. More than seventy years have passed since the death of “Chote Miyan” but the two names were still revered and respected by the local villagers. The villagers have many narrations of the philanthropic deeds of Chote Miyan passing to them from their elders. I will end by writing with a saying of Sheikh Sadi.”To give pleasure to a single heart by the single kind act is better than a thousand heads bowing in a prayer”. I think this was a reward from Almighty God to these generous landlords for taking care of their assamis ( cultivators).